No, not LEGO Prince of Persia. Prince of Persia LEGO. There's a difference! Because for the first time, instead of a game based on LEGO, we've got LEGO based on a game. Well, a movie based on a game. Close enough. The series - which we first told you about in February - will be released to cash in on the movie, which is due to hit theatres next April. 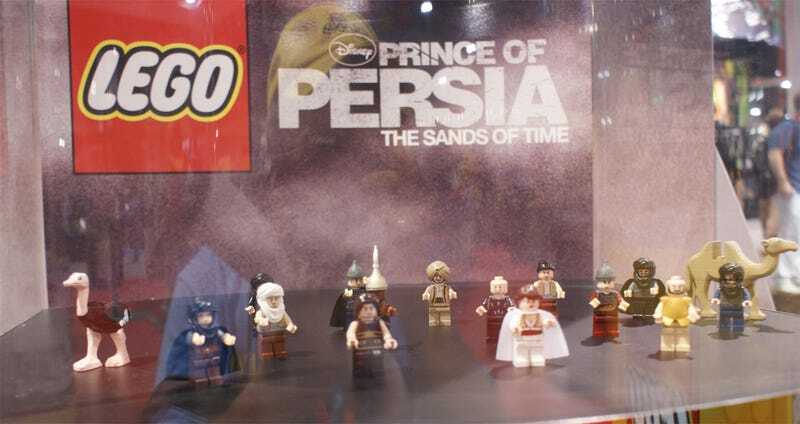 And while the presence of a LEGO ostrich screams instant purchase, we're going to be holding off until we get confirmation from LEGO that the Prince's shirt is removable. There's a full gallery's worth of close-ups over at jmenomeno's Flickr page.